Build amazing exteriors in the exact style of your choice by visiting Maple Leaf Masonry Supply Ltd in Sudbury. We boast an incredible selection of products and carry all the supplies you need to do the job. From timeless brick and natural stone to the latest in stone veneers, we have the materials and the experienced staff to answer your questions. Come visit us for quality building materials in Sudbury. Maple Leaf Masonry Supply Ltd has over 250 masonry selections on display in our showrooms and over 75 paving stone styles. We work with the industry’s leading brands and provide helpful installation guides directly from the manufacturers. Request a free estimate or design consultation to get started on your project. 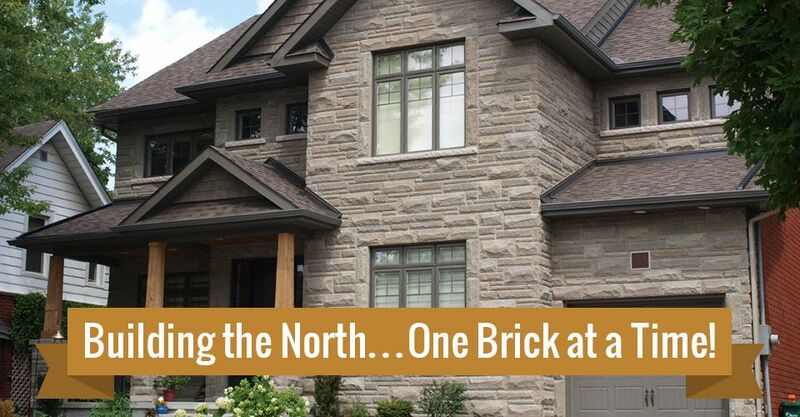 Building the North one brick at a time, Maple Leaf Masonry Supply Ltd looks forward to assisting you in finding the best building materials in Sudbury! A great way to determine the type of masonry you want is to take a tour of any recently built neighbourhood. Be sure to write down addresses or take photos of the exteriors you like. Come see us and we will identify the masonry for you. Chances are we supplied it! Looking for a great deal on the best stone veneer on the market? Cultured Stone®, the brand preferred by architects and masons, is here. We have surplus inventory that has to move. We can’t wait to speak with you about your requirements for building materials. Sudbury clients can contact us today!